Do you ever feel so overwhelmed with work that you feel downright guilty taking a break? If so, the best way to get more done might surprise you. 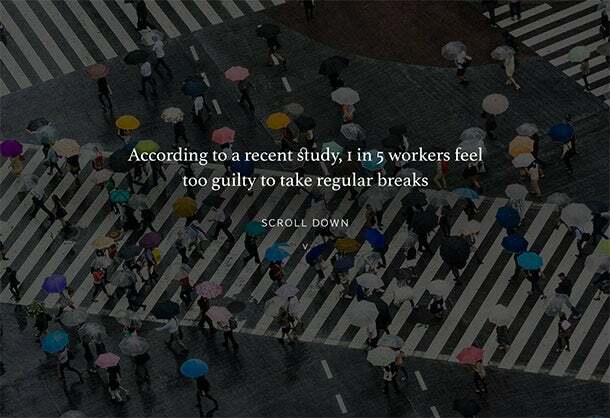 Studies show that people are 9 percent more productive and up to 13 percent more accurate when they take regular breaks from work. The best way to save time isn't to cut your breaks, but instead to use your time more efficiently. Structure breaks into your schedule, take your vacation days and give yourself time to let your mind wander if you really want to be more productive at work. For today's quick break, click on the interactive infographic below created by Staples, on the power of taking a breather at work.